Plant-specific NAC (NAM, ATAF, and CUC)- domain proteins play important roles in plant development and stress responses. This study presents a comprehensive overview of GmSNAC genes. Eight of 71 GmSNAC genes differentially induced by abiotic stresses were identified. Based on the structural characteristics and phylogenetic relationships of Arabidopsis, rice, and soybean NACs, the GmSNACs were divided into five subgroups. Five GmSNAC proteins were localized in the nucleus and three GmSNAC proteins containing transmembrane domains were found in the nucleus and in other fractions. Based on the transcriptional activities of eight GmSNAC proteins fused to the GAL4 DB, it seems that the respective GmSNAC might play a transcriptional activator or repressor role in yeast. Here, we identify the roles of GmSNAC49 in stress responses and other processes. The overexpression of GmSNAC49 in Arabidopsis produced increased tolerance to drought stress compared to WT plants. Real-time (q)RT-PCR analyses suggest that overexpression of GmSNAC49 resulted in the upregulation of genes involved in the drought and/or ABA signaling pathway. These results suggest that GmSNAC49 might play a positive role in drought stress tolerance by regulating drought-responsive genes in Arabidopsis. 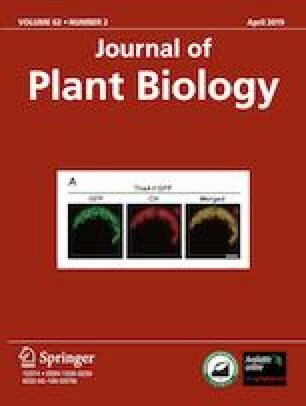 Overall, the results of this systematic analysis of the GmSNAC family responsive to abiotic stress will provide novel tools and resources for the development of improved drought tolerant transgenic soybean cultivars. Supplementary material is available for this article at https://doi.org/10.1007/s12374-018-0285-2 and is accessible for authorized users. Supplementary material, approximately 145 KB.